In the beginning of God’s creating the heavens and the earth (Bereishis 1:1). R’Yitzchak said: “It was not necessary to begin the Torah [here] but rather with “This month shall be to you,” the first mitzvah commanded to the Jewish people (Rash) to Bereishis 1:1). Rashi begins his classic commentary to Chumash with the question of R’ Yitzchak. R’ Yitzchak’s question is not immediately understood. The Torah is not, after all, a compendium of mitzvos. Even after the giving of the first mitzvah, many entire parashiyos are primarily narratives of the events in Egypt and the desert. If so, why was it so apparent to R’ Yitzchak that the Torah should start with the first mitzvah? To fully appreciate R’ Yitzchak’s question requires an understanding of the purpose of the Torah. Rambam (Hilchos Melachim 12:2) casts much light on this issue. The Torah, he writes, gives few hints concerning the coming of Mashiach. The details were not revealed either to the prophets or the Sages. Because these details were obscured, says Rambam, they should not form the focus of one’s learning. Rambam then adds: ”For these details do not bring one to love or fear of God.” Rambam, it would seem, is explaining why there is no clear tradition concerning these details. The purpose of the Torah is to bring one to the love of God or fear of God. The word Torah is derived from hora’ah (guidance) and hints at the Torah’s role as a guide to coming closer to the Creator. Only that which furthers this goal is contained in the Torah. Everything else is excluded. Matters of only historic or scientific interest have no place. Rabbi Yechezkel Abramsky, zt”l, made a similar point concerning the penultimate verse of Megillas Esther: “All the great deeds of Mordechai … are recorded in the history books of the royalty of Persia and Medea.” Why did the Megillah refer us to the history books of Persia and Medea for further information concerning Mordechai? Did anyone ever read them? Were they ever available for our perusal? The intent of this verse, says Rabbi Abramsky, is to put Megillas Esther into perspective. If you seek historical information, the Megillah tells us, then read the royal histories of Persia and Medea. Megillas Esther, however, is not the source of such information, but rather a source of fear of Heaven. In this light, we can understand the puzzling differences between two almost identical portions of the Torah. At the end of parashas Bereishis, the Torah records the ten generations between Adam and Noach, and at the end of parashas Noach it similarly records the ten generations between Noach and Avraham. But the two accounts differ. In the first, the Torah provides us with three basic facts concerning the representative of each generation: how old he was at the birth of his principal child, how long he lived after that birth, and his age at death. But of those mentioned in parashas Noach, we are not told their age at death or even that they died at all. The Mishnah (Pirkei Avos 5:2-3) relates that there were ten generations between Adam and Noach and also ten generations between Noach and Avraham. 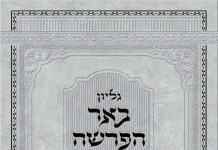 The parallel beraisa in Avos d’Rav Nasan asks why this information is necessary and answers: the first ten generations teach us how long-suffering and slow to anger Hashem is; the second ten teaches us that one person such as Avraham can reap the entire reward of ten generations of people who did not fulfill their purpose in the world. In order to convey the lesson of God’s patience, it was important to know that the ten generations between Adam and Noach lived, had children, and died at a ripe old age. Therefore the first genealogy contains information concerning the age at death of the representatives of each generation. But to convey that Avraham received all the reward of ten generations, we need know nothing about the ages at death of the ten preceding generations. Since it is irrelevant to the message the Torah wishes to convey, it is omitted. The purpose of the Torah also explains why the Biblical narrative does not follow a straight chronological order. Because that purpose is to inculcate yiras shamayim (fear of Heaven), not to teach history, the most effective way to convey the lesson governs the order of the Biblical narrative. 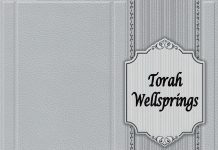 There is an essential difference between Torah and chachmah (wisdom). Wisdom, Chazal tell us, is found among the nations; Torah is not. Wisdom need not influence the behavior of the one who possesses it. There have been great geniuses in the arts, humanities and sciences, whose personal characters were nevertheless reprehensible. (Indeed, that seems more the rule than the exception.) Their lack of integrity did not detract from their wisdom, and their wisdom added nothing to their character. When Bertrand Russell, then a professor of ethics at City College in New York, was accused of leading a singularly immoral life, he responded that just as he did not need to be triangle to teach geometry, neither did he have to be a moral person to teach ethics. Torah, on the other hand, must influence the behavior and character of the one who studies it to qualify as Torah. A person possesses wisdom; Torah possesses the person. Torah is compared to fire, for like fire it must leave an imprint. Where study of the Torah does not transform the student, whatever knowledge he obtains is not Torah but secular wisdom. The blessing recited upon seeing one who possesses exceptional secular wisdom is “Blessed are You, Hashem, our God, King of the universe, Who has given of His knowledge to human beings.” The wisdom is given unconditionally, its recipient remains flesh and blood. On the other hand, the blessing recited over an exceptional Torah scholar is “Blessed are You, Hashem, our God, King of the universe, Who has apportioned of His knowledge to those who fear Him.” Torah is not given but apportioned out. It remains attached to its Divine source, and is therefore reserved only for those who are God-fearing. A talmid chacham is the embodiment of Torah by virtue of having made its lessons part of himself. The creation of such people is the very purpose of the Torah. For this reason, Chazal cast scorn on the foolishness of those who rise for a sefer Torah but not for a talmid chacham, for the latter is a living sefer Torah. The Written Torah was given in such a way that it could not be understood without the Oral Torah to insure that it would not be confused with book knowledge-something which can be read, mastered and memorized. Rather, Torah must be learned from a teacher who is a living sefer Torah. Now R’ Yitzchak’s question can be understood. Since the purpose of every word of the Torah is to guide those to whom it was given, its very essence is mitzvos, commandments. As the Zohar says, the narratives of the Torah are merely mitzvos disguised in the garb of narrative. When one writes a book, it is normal to begin by acquainting the reader with the nature of the material contained within. Since all of the Torah is mitzvos, it would have been logical to start with the first clear-cut mitzvah to establish the pattern for all that would follow, and thereby make clear that even the narratives are included only for their eternal message of ahavas Hashem (Love of God) and yiras Hashem (Fear of God). By starting with the narrative of Creation there was a risk that the true function of the Torah as a source of guidance would be insufficiently understood. That is what provoked R’ Yitzchak’s question. Every time we begin the Torah again, we must constantly keep in mind that every letter of Torah is an eternal lesson in ahavas Hashem and yiras Hashem. If at first glance the lesson is not perceived, then one must delve deeper. “For it [the Torah] is not something empty from you” (Devarim 32 47). If it appears empty, it is “from you,”- i.e., from your lack of understanding and not the absence of meaning. If the nations of the world say to you that you are thieves because you conquered the lands of the seven nations, say to them, “All the world is HaKadosh Baruch Hu’s. He created it and He gives it to whomever it is good in His eyes. By His Will He gave it to you, and by His Will He took it from you and gave it to us (Rash) to Bereishis 1:1). Rashi answers the question of why the Torah begins with an account of the Creation by quoting the verse (Tehillim 1116): “The power of His deeds He related to His nation to give them the inheritance of nations.” If the nations of the world contest our claim to Eretz Yisrael and charge us with stealing it from the seven Canaanite nations, we will be able to answer that all of Creation belongs to God. He created it and apportions it out to whom He pleases. Originally His will was to give Eretz Yisrael to the seven nations, and subsequently His will was to take it from them and give it to us. Thus it would seem that the entire reason that the Torah begins with the Creation is to provide us with a claim to Eretz Yisrael. This is hard to understand for many reasons. First, it is far from clear that this response will have any effect on those to whom it is ostensibly directed. How can we expect the nations of the world to accept this answer when they do not believe in the Torah? Were the Israeli ambassador to the United Nations to quote R’ Yitzchak, it is highly improbable that the Arab world would relinquish its claim to Eretz Yisrael . When, in fact, the Canaanite nations laid claim to Eretz Yisrael in front of Alexander the Great, on the grounds that the Torah itself calls it Eretz Canuan, Gevia teen P’sisa did not answer them by citing Bereishis. Rather he argued that Canaan is a slave to his brothers, and all that a slave acquires reverts to his master (Sanhedrin 91a). If the entire account of Creation was recorded only to be used as a response to a claim by the nations, why was it not utilized when the claim was in fact made? Moreover, the answer does not satisfactorily explain why the Torah has to begin with Creation and not merely include an account of Creation. And there is a deeper question raised by this response. Why did God ordain that we should conquer Eretz Yisrael from seven nations who had inhabited it for hundreds of years? Why was it necessary that we wipe out those nations? Why did Eretz Yisrael have to become ours in a manner so open to challenge that the Torah had to start from Bereishis just to provide the answer? If we carefully scrutinize Rashi’s words, we find that in fact the Torah does begin with the first mitzvah-hachodesh hazeh lachem. Bereishis is not the beginning, but rather the preface (pesichah) to the Torah. “Why did the Torah open (pasach) with Bereishis?” is the question Rashi addresses. The answer is that this preface is not for the sake of the nations of the world; it is for us. God told us the power of His deeds. We must know this fact; we must be convinced that we are not thieves. Hashem sought to teach us a lesson so significant that it is the foundation of the entire Torah. Without this preface we are not ready to approach the first mitzvah. Understanding this lesson requires a clear understanding of the role of the Jewish people. The ultimate purpose of Klal Yisrael is to be “a nation of kohanim (priests), a holy nation.” As kohanim we are Hashem’s representatives in this world, and that requires us to be a holy nation. That holiness must permeate every aspect of life, from the ostensibly mundane-eating, sleeping, dressing in the morning – to the most elevated. Each of the Divinely decreed actions of Hashem’s Chosen People must proclaim His existence. To achieve this goal, we must be a nation that dwells apart, insulated from other cultures. This isolation and insulation from the world is part of our very essence, an inescapable reality. The Midrash tells us that the Jewish people are compared to oil, and the nations of the world to water. By their very nature they cannot mix. When we recognize the importance of maintaining our unique, holy existence in isolation, we experience the promise “The Jewish people will dwell in security alone, apart” (Devarim 33 28). The oil flows calmly on the water, and the two coexist in peace. But if we seek to assimilate into the foreign cultures, we will be forced to read, “How do you dwell apart?” to the lament of Eichah. As Rabbi Chaim of Volozhin so poignantly expressed it “Either the Jew makes Kiddush or the gentile makes havdalah.” History has shown that when we sanctify ourselves- Kiddush-and dwell apart, we lead a life of holiness in secure isolation. When we attempt to assimilate and adapt foreign lifestyles -as in Egypt or Spain or Germany-our host nations eventually make havdalah and remind us that we are different. Sifra comments on the verse, “I separated you from the nations of the world to be mine” (Vayikra 20 2) “If you are separated, then you are Mine. If not, you belong to Nevnchadnezzar and his cohorts.” The obvious meaning seems to be that if we separate ourselves, we will merit Divine protection; and if not, Hashem will deliver us into the hands of our enemies. I would like, however, to suggest an alternative reading in closer conformity to the literal wording of the Sifra. A non-Jew is required to observe only seven mitzvos. As long as he observes the minimal ethical code dictated by Hashem for civilization, he has a share in the World to Come. One might think that a Jew living the same type of life, although remiss in the observance of the rest of the mitzvos, would nevertheless be judged no worse than his non-Jewish neighbor. Sifra informs us otherwise. The Jew exists for an entirely different purpose,-to create a Mikdash, a place of sanctity, a place where the Divine Presence will be felt. This Mikdash finds potential expression in the person of every Jew. Thus any Jew who fails to sanctify himself, to lead a life of exceptional holiness, as defined by the Torah’s commandments, is in fact destroying his personal Mikdash. He has joined the ranks of Nevuchadnezzar and his cohorts, destroyers of the Mikdash. He ‘belongs” to Nevnchadnezzar. One who observes six hundred and thirteen mitzvos but does not understand the underlying, all-encompassing lifestyle they seek to engender, one who ignores the implications of those mitzvos in creating a Torah outlook, personality and weltanschaung, one whose goals, standards and values remain basically secular-such a person does not have six hundred and thirteen mitzvos, but rather six hundred and thirteen problems. Mitzvos cannot be observed in a framework foreign to Torah ideals. Upon returning from his twenty year sojourn with Lavan, Yaakov told his brother Esav, “I dwelt with Lavan, but I kept all six hundred and thirteen mitzvos and did not learn from his evil ways.” It seems superfluous for Yaakov to add that he did not learn from Lavan’s evil ways, after stating that he kept all six hundred and thirteen mitzvos. Assimilation, we learn from Yaakov’s words, means not only rejecting mitzvos but adopting values and lifestyles foreign to Torah. Even if one observes all the mitzvos, if his values remain those of the surrounding culture, he is merely a glatt kosher gentile. We must create a total Torah environment to insulate ourselves and our families from the influences of the secular society in whose midst we temporarily find ourselves. To promote our being a nation that dwells apart, Hashem measured every land and found no land more suitable for the Jewish people than Eretz Yisrael, and no people better suited to Eretz Yisrael than Am Yisrael (Vayikra Rabbah 13). Eretz Yisrael is a holy land, the land that Hashem personally supervises at all times, the land that Hashem calls His own. And Am Yisrael is a nation that Hashem calls a holy nation, the nation that merits direct Divine Providence, the nation that Hashem calls His own. Hence, Eretz Yisrael and Am Yisrael complement each other perfectly. Eretz Yisrael provides a setting where we can develop our potential to be a uniquely sanctified nation. (This, it should be noted, is the very antithesis of secular Zionism, which envisions Eretz Yisrael as a setting for us to develop at long last into a nation like all other nations.) Thus, the answer to R’ Yitzchak’s question is not for the nations. It is we who are supposed to see clearly that Eretz Yisrael is legitimately ours, given to us by Hashem. Hashem gave us Eretz Yisrael as He did to teach us the one lesson upon which all else depends: all our moral and ethical standards have only one source-Hashem Yisborach. If He tells us to conquer and kill, that is by definition ethical and moral. And similarly, where He mandates mercy and peace, then that is ethical. Our value system has no basis other than the Written and Oral Torah. The seven Canaanite nations had forfeited their right to Eretz Yisrael by their abominations. Hashem could have destroyed them by Himself without any action on our part. But He told us to conquer the land so that we would be forced to recognize His will as the source of all morality. He is the Creator of all that exists, and only He can dictate proper conduct among the nations. That is why our conquest constituted neither murder nor theft. The Torah, at the very outset, is laying the framework for all mitzvah observance. It is not incidental that this lesson is taught through Eretz Yisrael. Our holy books emphasize that only in the Land of Israel can a Torah society uninfluenced by foreign values and standards be created-a society dwelling apart and enhanced by the special qualities of the land. Since Eretz Yisrael is given to us to place all mitzvah observance in proper perspective, we have a legitimate claim to it only if we accept God as the arbiter of every aspect of our lives. If, however, we adopt the standards of the nations, we are murderers and thieves with no claim to the Land. Without that acceptance, the Land is, in fact, useless to us.